Midokura, the global innovator in software network virtualization, has announced the integration of its flagship Midokura Enterprise MidoNet (MEM) technology with Ubuntu OpenStack. Now, users can benefit from the power of an integrated cloud solution that combines industry-leading technology from Midokura with the most widely deployed commercial distribution of OpenStack. According to recent figures from the The OpenStack Foundation, Ubuntu is the choice for OpenStack. Over 51% of all OpenStack clouds are based on Ubuntu Server and in large scale production OpenStack clouds with over 1000 users, Ubuntu represents over 65% of the installations compared to 23% for the next most popular option. 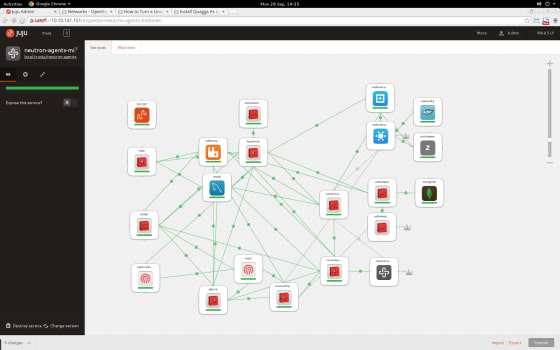 Juju is an open source service modeling and deployment tool, led by Canonical. Via Charms, Juju lets you design, deploy, connect and scale services for solutions of any size. The Midokura Juju Charm is immediately available in the Charm Store – a collection of Charms that have been tested and approved by Canonical. Midokura’s flagship product, Midokura Enterprise MidoNet (MEM), is a network virtualization platform aimed at enterprises. Yesterday, Midokura announced the latest release of MEM, which offers support for OpenStack Liberty. To learn more about MEM and to register for a free trial, visit: www.midokura.com/midonet-enterprise. Midokura also offers an open source version of the core MidoNet technology, which is quickly gaining in popularity among organizations of all sizes in more than 120 countries. To learn more about open source MidoNet, go to: www.midonet.org.